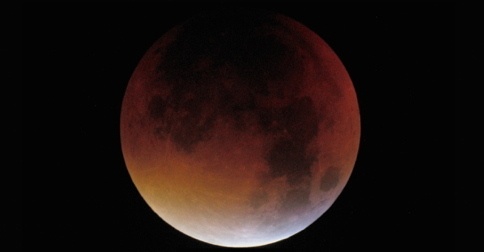 Last night we had the coincidence of a supermoon and a total lunar eclipse. 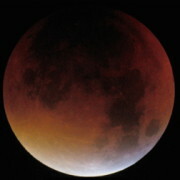 A supermoon is a full moon when the moon is at its closest to the earth, and a lunar eclipse is the moon’s passing through the earth’s shadow. The last time this happened was 1982. This goes beyond the word super. In fact, teachers of English pronunciation today can reasonably give their students a nice general rule: English words never begin with /sj/. This goes for supervise, supermarket, sue, suit, suitable, suicide, superb, superfluous, superior, supreme, Susan, and so on. Note.– super in isolation and in compounds is increasingly ˈsuːpə. I wonder how many users of /ˈsju:pə/ will be around when the next supermoon-eclipse occurs, in 2033?